President Obama’s policy on natural gas has drawn protests in Colorado. LONGMONT, Colo. — President Obama’s plan to boost domestic drilling for natural gas carries the promise of new jobs and provides a convenient pivot away from his lurching bid to transform America’s energy economy with wind and solar power. Yet in pockets of the nation, including the communities around Colorado’s pristine mountains, such a shift carries a political price. The spike in fossil fuel production in this crucial swing state has generated a backlash, as neighborhood activists and environmentalists decry the key means of producing the energy: hydraulic fracturing, also known as fracking, of rock deep below ground, releasing reserves of natural gas or oil. Obama’s move also bears economic uncertainties. His promise at this month’s Democratic convention to create 600,000 natural-gas-related jobs in the next decade is running headlong into a new reality: Overproduction of natural gas has stifled new drilling, and thus hiring. The result is the president risks alienating a component of his base, while possibly overselling the potential for new jobs. In his pursuit of natural gas production, Obama is banking on an industry that has provided an economic bright spot and bolstered the possibility of greater energy self-sufficiency. In an all-day Ohio duel, Mitt Romney said he could improve Americans’ lives while President Obama said a challenger who calls half the nation ‘‘victims’’ was unlikely to be much help. Colorado had boasted 43,000 direct and indirect jobs stemming from fracking for natural gas alone during 2010, the third-highest behind Texas and Louisiana, according to estimates prepared for America’s Natural Gas Alliance, an industry trade group. The surge in activity is evident in other key election states such as Pennsylvania and Ohio, where the earth is being perforated by dozens of new wells. Those states were fourth and seventh in the rankings of fracking-related jobs in 2010. Fracking generates more than employment opportunities and profits, however. It creates gushers of local controversy. The process requires huge volumes of pressurized, chemical-laden water to break apart rock. Not only does it consume scarce water resources, a particular concern in the West, but it poses a threat of contamination if the fracking water is spilled or migrates into aquifers. The industry insists such risks are nearly nonexistent. “We’re disappointed in President Obama. 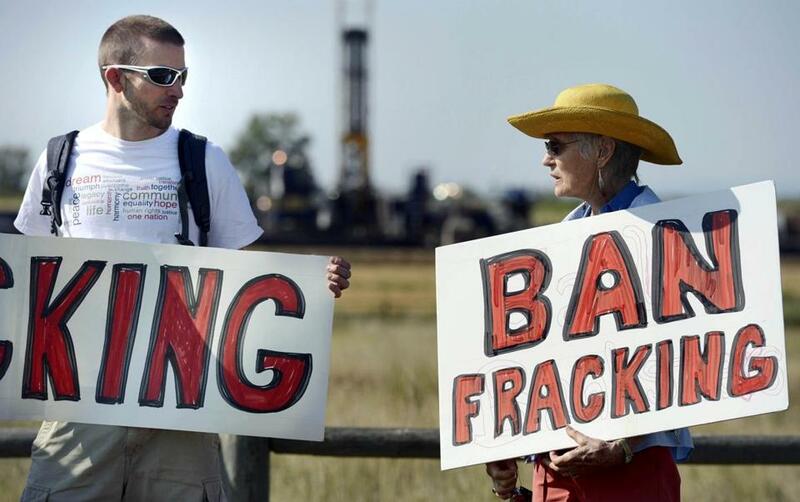 He led us to believe that he would look out for us in this region, and he hasn’t really delivered,’’ said Kaye Fissinger, a self-described progressive and part of a citizens group in suburban Longmont that has forced an antifracking amendment onto the local ballot in November. Governor John Hickenlooper, a Democrat and key western ally of the president, said in an interview that Obama’s new stance has thrust the president more firmly into the state’s longstanding debates, where Colorado’s identity as a home to scenic wilderness conflicts with its traditions of mining and economic booms. Kaye Fissinger, an activist from Longmont, Colo., says her group is disappointed with President Obama’s energy policy. “He led us to believe that he would look out for us in this region, and he hasn’t really delivered,’’ she said. Hickenlooper, a former energy industry geologist who supports fracking, has ordered state regulators to sue the City of Longmont over a set of strict drilling regulations the city adopted, saying such a move will foster a hodgepodge of local rules and chaos if other communities follow. The governor is threatening to sue again if the community passes its ban on fracking in November. Hickenlooper maintained that the relatively low risks of fracking are worth the goals of energy self-sufficiency and cleaner air that will come with greater natural gas production. He also acknowledged that the nation needs to encourage greater demand for natural gas, through the development of more natural-gas burning power plants and more automobiles that run on the cleaner-burning fuel. That’s because economic forces appear to be at least temporarily working against Obama’s vision. 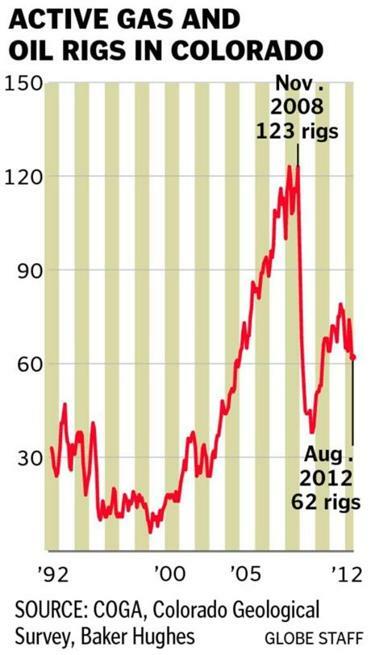 Plentiful supplies of natural gas have flooded the market and lowered prices, which significantly dampened interest in gas exploration in the last two years. The continued recovery in drilling is now being led by fracking for oil, not natural gas, according to federal government data. Obama’s estimate of 600,000 new natural gas jobs is based on a study released by America’s Natural Gas Alliance that forecast the price of gas rising to $4.77 per million BTUs by 2015, from its current price of around $2.80. But such predictions can change with events such as a warm winter, which reduces demand. The six years leading up to the recession were especially volatile, with peak prices at nearly $15 in late 2005. During his last campaign, Obama promised to create 5 million jobs in “green energy’’ fields over 1o years. The actual number generated by such energy producers as wind and solar has been much lower. Wind energy companies have recently been shedding jobs as federal tax credits begin to expire and China floods the US market with subsidized components. The economic realities facing Obama and the solar and wind advocates he courted in 2008 could not be more starkly illustrated than along an interstate frontage road in the Front Range region of Colorado. A solar panel manufacturing facility owned by Abound Solar sits idle, bankrupt, despite the $400 million green-energy loan guarantee Abound secured through Obama’s 2009 economic stimulus package. 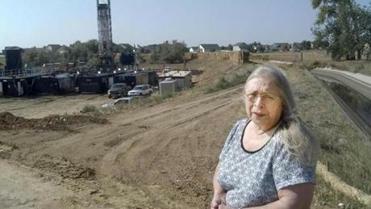 Even as the solar factory awaited a trustee’s auction, nearby fields were dotted with dozens of fracking wells. The streets of Fort Lupton in Weld County crawl with rigs, water tankers, and trucks bearing pipes and chemicals. Fracking wells dot lots next to schools, golf courses, churches, and tracts of suburban homes. Plans are in the works to ring the banks of a reservoir with wells. A number of drilling rigs are operated by locally owned businesses and subcontractors who contend Obama’s support for their industry seems late. Obama mentioned natural gas as an important source of energy in 2008 but did not give it the same emphasis he does now. Certainly Obama’s support of natural gas production in his convention speech was not quite the same as “drill, baby, drill,’’ the chant of delegates at the 2008 Republican convention. But the change in emphasis was clear. The move makes it easier for him to pivot away from such embarrassments as Abound and Solyndra, the California solar panel company that went bankrupt despite receiving a $500 million, government-guaranteed loan under the stimulus package. 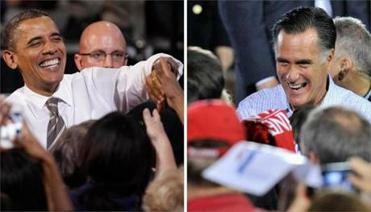 The new approach also could help protect him from accusations by challenger Mitt Romney that he stifled domestic energy production. Romney unveiled proposals in August to expand drilling in offshore sites and federal lands and reduce regulations, while seeking to portray Obama as hostile to new drilling. Obama counters that oil production increased 13 percent on federal lands during the first three years of his presidency, while the government offered for sale millions of acres of oil- and gas-rich federal holdings. It says it has streamlined permitting on federal property. Nonetheless, energy companies poured three times more money into Romney’s campaign coffers — $4.2 million, compared with $1.3 million for Obama — as of Sept. 3, according to the Center for Responsive Politics, a nonpartisan, nonprofit group that reports publicly released data. Energy executives said the Interior Department rules unveiled in May impose too many requirements on drillers.